Matthew K. Schriever is an associate attorney of the Firm, focused primarily on representing clients in real estate, bankruptcy, civil and commercial litigation, mortgage banking, and landlord/tenant law. He is an experienced attorney, having made thousands of court appearances in state and federal courts throughout Nevada with successful results in those cases. He has also handled appeals in the Nevada Supreme Court, Bankruptcy Appellate Panel for the Ninth Circuit, and the Ninth Circuit Court of Appeals. He has also represented clients in hundreds of mediations. Matthew is a member of the Southern Nevada Association of Bankruptcy Attorneys. Matthew’s legal background goes well beyond his experiences as an attorney and law student. Prior to entering law school, Matthew was employed by the United States District Court for the District of Utah and the Fourth District Court of the State of Utah where he worked as a clerk for two judges. He is a member of the State Bar of Nevada, the United States District Court for the District of Nevada, and the United States Court of Appeals for the Ninth Circuit. Matthew currently works in the Firm’s Las Vegas, Nevada, office. Matthew is originally from Kansas City, Missouri, and after graduating from the University of Utah, returned to the Kansas City area to attend law school. Upon finishing law school, Matthew moved to Nevada and has raised his family in Las Vegas. 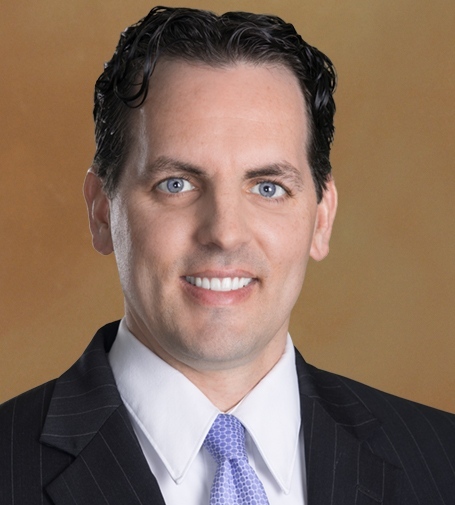 Prior to joining Hutchison & Steffen, Matthew worked at a large multi-jurisdictional law firm for many years and represented major banking institutions in various areas of legal and financial services, including foreclosure, bankruptcy, loss mitigation, eviction, title work, and related litigation. In his free time, Matthew enjoys spending time with his wife, two sons, and daughter. He is also actively involved within his community. His community involvement includes annual fundraising for the Cystic Fibrosis Foundation and the Make-A-Wish Foundation, serving as a president of a non-profit corporation, and volunteer service at his church. Matthew also sits on the board of the Las Vegas Chapter of the Cystic Fibrosis Foundation and was recently recognized as the Chapter’s 2017 Individual Giving Partner. Matthew is an Eagle Scout and has helped numerous other young men achieve that award, as well.